Dubai: Emirates Group Security and Etihad Aviation Group announced they have signed a memorandum of understanding for cooperation in aviation security, the first deal between the two aviation companies. In a statement on Monday, Emirates Group said the agreement “signals the importance of closer collaboration in aviation security” to make use of joint synergies and boost security for both airlines. “Security is one of the foremost priorities of the global aviation industry. Through this agreement, Emirates Group Security will collaborate with Etihad Aviation Group to share know-how and extend aviation security services in order to better handle shared challenges, which ultimately benefits travellers,” said Shaikh Ahmad Bin Saeed Al Maktoum, chairman and chief executive of Emirates Airline and Group. 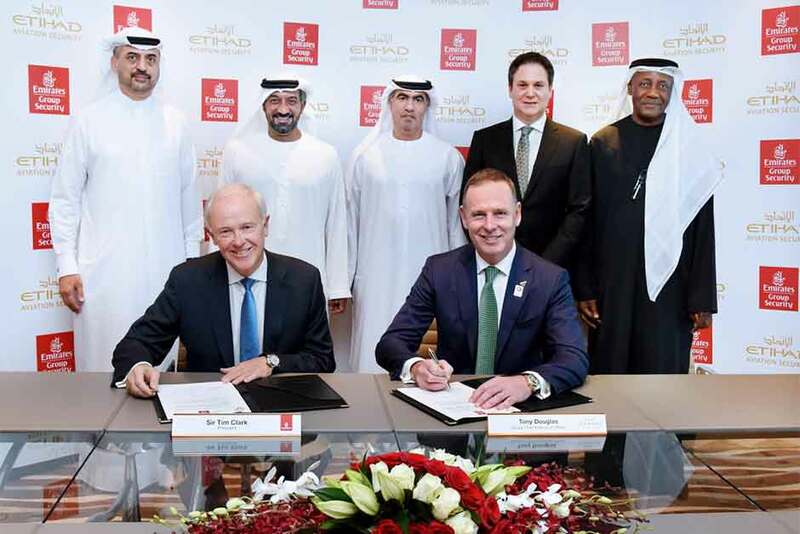 The deal between the two aviation groups follows comments made by Tim Clark in October 2017 when he said Emirates is willing to cooperate with Etihad in areas such as procurement. In comments he made to Reuters, Clark said a full merger between the two companies was unlikely, but that “there is value to be had in working more closely” with Etihad.